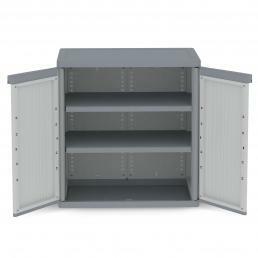 Terry cabinets have always been synonymous with quality and practicality, perfect for any indoor or outdoor environment. 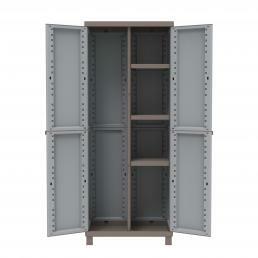 From the J-Line bestseller to the capacious Jumbo Qblack, in the catalog are available different models of wardrobes, perfect for every need. 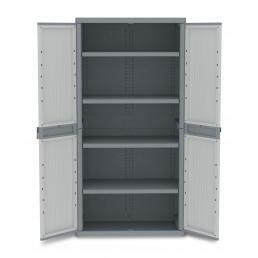 The best-selling model among the tool storage cupboards is the J-Line 368, ideal for terrace, balcony, garden, cellar, garage and closet. 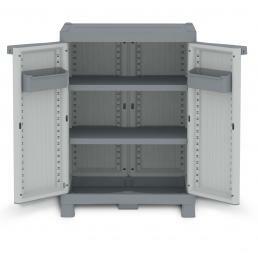 It is a resistant resin cabinet, suitable also for outdoor use: it can stand well rain and wind and is very stable, with a secure closure and a lock. 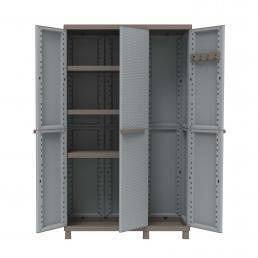 It has two doors that can be opened up to 180°, so you can easily fill it, and inside it has a practical shelf with four shelves. 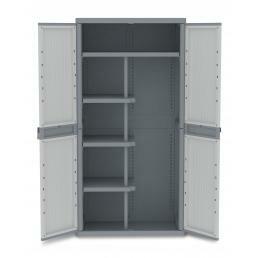 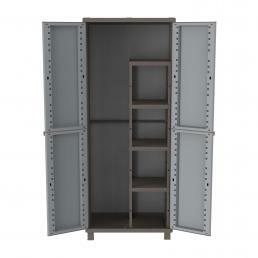 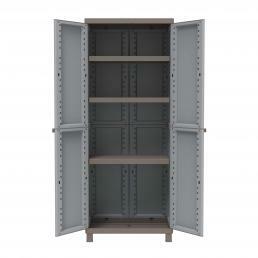 Two other J-Line models are also available: without shelf, with three simple shelves; low with a single shelf. 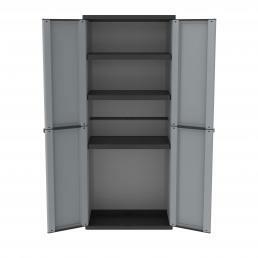 The most resistant wardrobe in the catalog is the Jumbo Qblack 3900: its polypropylene structure is shockproof and reinforced, making it perfect for both the outside and the work spaces. 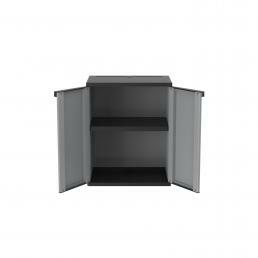 It has two doors that can be completely opened and inside it has three small shelves with a maximum capacity of 15 kilos and a full-width top shelf with a maximum capacity of 20 kilos: it is an excellent solution to keep your garage tidy, but also in your own workshop. 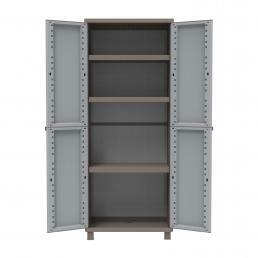 The high resistance of the shelves allows you to store tools of various kinds, even quite heavy, without the risk of falling and ruining. 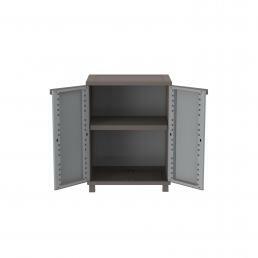 Another very popular Terry wardrobe is the C-Wood 102A, which with its wood-effect finish is perfect to give a touch of style to the terrace. 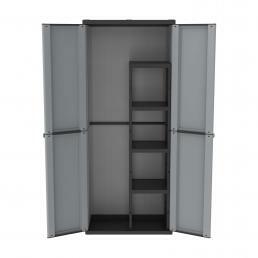 It is made of PVC resistant to rain, and is very large: it has three doors that can be opened completely, a floor space with three shelves adjustable in height and a smaller compartment without shelves, ideal for storing ironing boards or brooms; inside one of the doors there is also a practical support to hang everything. 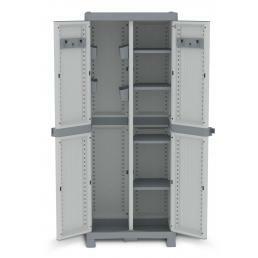 The feet are raised and very stable, and all the doors have the provision for padlocking. 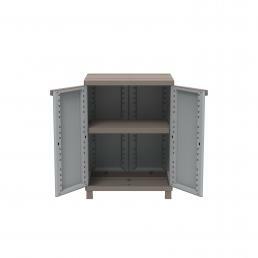 In the assortment there are also other models of tool cabinets: Wave, J-Wood, Twist Black, C-Rattan and J-Rattan, with different finishes and various sizes, in order to satisfy a large number of different needs.